With just 18 per cent of appointment slots for P.E.I. 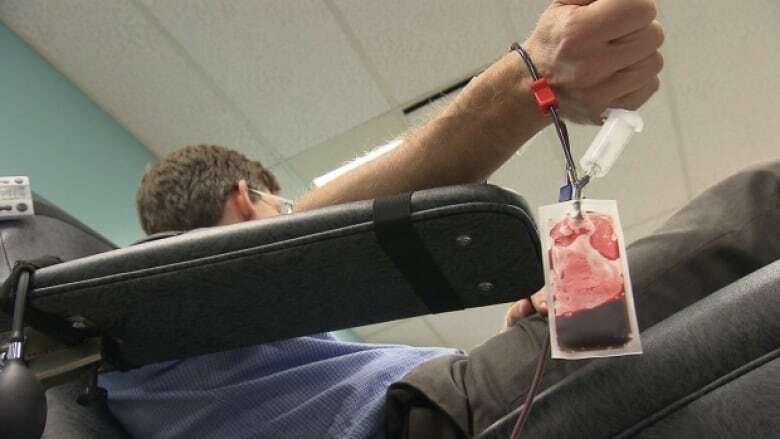 filled for next week, Canadian Blood Services has put out a call for donors. CBS still has more than a third of its appointments in Charlottetown open for this week as well. Peter MacDonald, director of donor relations in Atlantic Canada, said CBS tries to build up inventories for the holidays, which are typically a slow time for donations, but while some blood components can be stored for weeks or months, platelets can only be kept for seven days. "Platelets are a key piece in cancer treatment, so, leukemia patients, one patient could use up, on a weekly basis, platelets from eight donors," said MacDonald. "We want to build up our inventory going into Christmas but because platelets are so perishable it's also important that we have a steady supply." Interested donors can book an appointment for the Fitzroy Street location in Charlottetown online. The clinic is open from Boxing Day through to Friday next week. MacDonald calls it "a great way to give a gift that can't be bought over the holiday season."